HAVING marketed blockbuster movies like Ra-One, Don 2 and Cocktail, the founder of Bottom Line Pvt Ltd, Tanaaz Bhatia, believes that the key is to find the perfect synergy between the brand and the film. When not promoting movies, Bhatia is busy working with actors like Shah Rukh Khan, Saif Ali Khan, Dhanush and others for brand endorsements. a�?I take up marketing for movies based on the script and, a lot of times, friends. More so if the script is challenging with a different genre to interest me, as one has an opportunity to work on different kind of marketing plans, which would make us think out of the box and create different marketing trends,a�? begins theA�34-year-old, who completed her graduation in economics from Sydenham College. 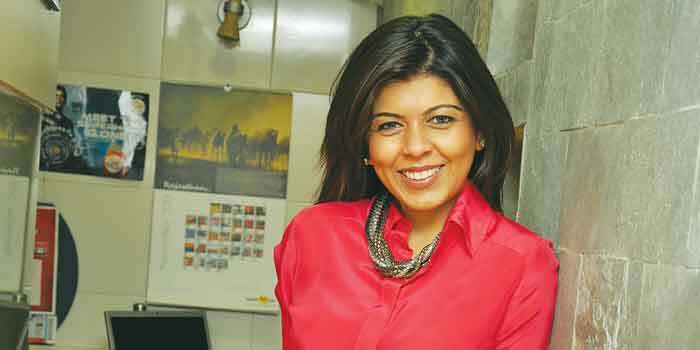 Taking the leap from investment banker to marketing executive was not difficult for Bhatia. About her nine years inA� Wall Street, the Mumbaikar says, a�?My core sector was media and I always covered it even as a mergers and acquisitions banker.a�? The movie buff spent her initial banking days at Universal Studios. a�?I always loved movies. Seeing how the studio worked and the mechanics of how a movie comes together intrigued me. My earliest memory of watching films would be Chitty Chitty Bang Bang and Mary Poppins. I loved the fact that magic and colours can make one feel so good and just take you into a world of fantasy and illusion,a�? shares the MBA graduate from Stern School of Business, New York. Besides marketing movies like Ajay Devgna��s Singham 2 and Shah Rukh Khana��s Happy New Year this year, Bhatia informs, a�?We are also going to market The Zero Theorem, a Terry Gilliam Film.a�? As for some tips that she has learnt from the West she agrees that, a�?Timeliness, creative input and lookbook, all come into play prior to the shoot.a�? Talking about pioneering ideas and strategies to market a movie, a�?We created a special meal with gifts at McDonalds as part of their Happy Meal for movies like Agent Vinod and Ra-One.A� We also had special games and a flash mob to promote the film. Wait till the end of the year and you will see more,a�? she promises.